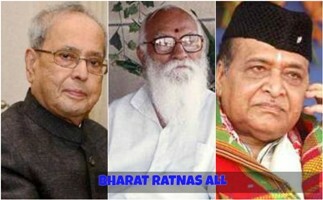 The government has awarded the Bharat Ratna to former President Pranab Mukherjee (who incidentally was a very senior Congress leader and twice missed out on being the prime minister), stalwart Assamese musician, lyricist and singer Bhupen Hazarika and Nanaji Deshmukh, RSS ideologue and social worker who had done exemplary work in education and rural self-reliance. The last two awards have been given posthumously. This being the general election year, most commentators were sharpening their pencils to lay into the government as they thought the choices would be highly controversial. But after the names were declared, there was near unanimous approval for the choices. The government has wisely chosen Pranab Mukherjee for the award as he is one of stalwart politicians still living. Giving him the honour has completely silenced the Congress which would have otherwise raised hell for the same being given to Nanaji Deshmukh. Some people are alluding that the award has been conferred upon Pranabda, as he is universally known, as a return of favour for his attending the RSS conclave at Nagpur some time back. But that is belittling both Bharat Ratna and Mukherjee’s immense and lifetime contribution to Indian society. The man that he is, Pranabda would have declined to accept the honour if he smelled a quid pro quo. Another person who cannot have any criticism of this is Mamata Banerjee, otherwise a strong critic of all decisions by the Modi government. After all, she cannot be seen to question the award to a fellow Bengali and someone she holds in high esteem. The government has also tried to endear itself to the electorate in West Bengal by this gesture. The award to Bhupen Hazarika is meant to honour the great artist who left an indelible stamp of his own on Indian music and singing. His husky voice gave life to numerous songs in Bengali, Asomiya and Hindi languages. Who can forget his rendition of Ami Ek Jajabor, Gonga Amar Ma or the haunting Dil Hoom Hoom Kare from the film Rudaali. His selection is also meant to calm the North-East, especially Assam, where agitations are taking place against the Citizenship Bill and the BJP is expected to suffer setbacks. Although people can accuse the government of partisanship in the selection of Nanaji Deshmukh, but the fact is that all governments have done this. Before the selection under the award was widened to include Indians from all walks of life, successive Congress governments gave it only to politicians and most of them from the Congress party. Deshmukh had spent a lifetime working with the rural people to improve their lot. Although he was a Marathi, he spent his life working in UP and Rajasthan. He had also maintained excellent relations with leaders across the political spectrum. He had already been conferred the Padma Vibushan in 1999. While people might say that there are other deserving candidates who have been overlooked, it is always the prerogative of the ruling dispensation to choose the awardees and Deshmukh deserves the honour.